The holidays are my favorite time of year. I absolutely love being able to spend time with loved ones and give them gifts I know they will love! This season of giving is truly a great reminder to love the people in our community. Whether that be through spending time or giving gifts, we can make a difference in the lives of people we love! When it comes to wrapping gifts, my go-to tape is Duck Max Strength Packaging Tape. 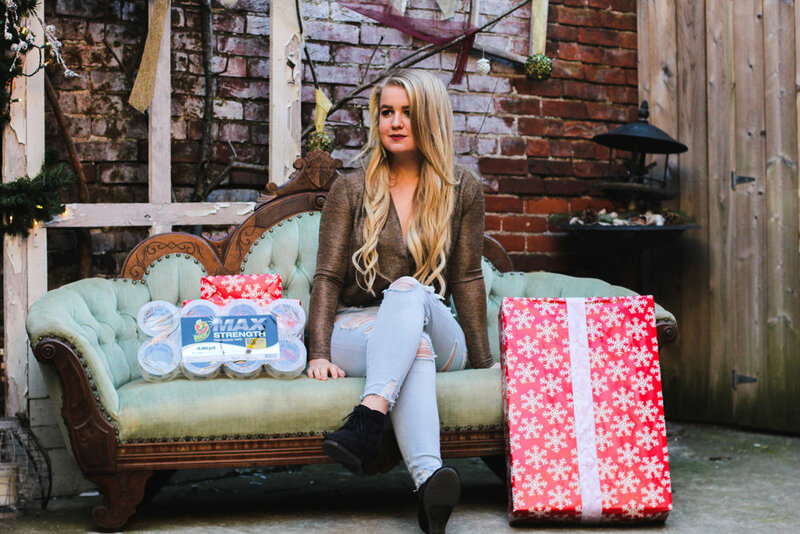 Duck Max Strength Packing Tape is 100x stronger than acrylic tapes for maximum adhesion, so I never have to worry about my gifts opening while I'm traveling! I always grab an 8-pack whenever I go to my local Sam's Club here in York. Sometimes it's hard to find products at the store, so know that this tape is always in the office supplies aisle! Oh, and it's under $20. SCORE! It's also great for if you are mailing gifts this holiday season, as it is extremely thick tape and great for heavy-duty box sealing. It has professional hot melt adhesive provides instant stick on boxes, so it makes it ideal for heavy duty shipping, moving and storage applications. We all know and love this brand, so remember to pick some up the next time you are at your local Sam's Club! Find a hard surface instead of doing it on the carpet or couch, this makes for easier wrapping! 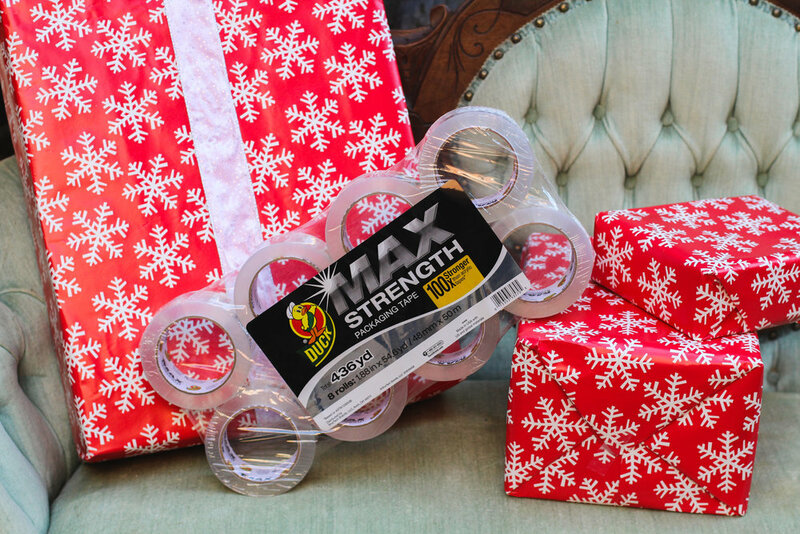 Use Duck Max Strength Packing Tape for better gift wrapping! Find high quality paper that won't rip while traveling. Go for fun designs that match your style! Recycle! Use leftover gift wrap and put it through a shredder to use for lining gift boxes. I hope you have a great holiday season spending time with your loved ones and giving great gifts! Duck Brand sponsored this post. All opinions are mine alone.